Here’s what’s up in the world of television for Thursday, October 26. All times are Eastern. 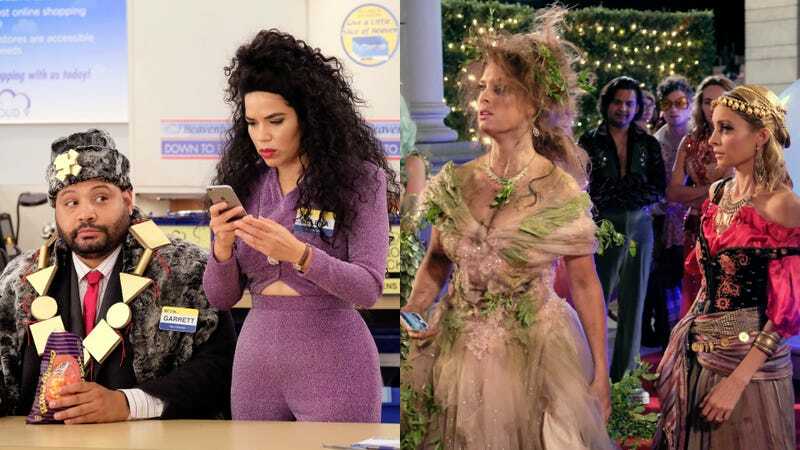 Superstore/Great News (NBC, 8/9:30 p.m.): Superstore’s and Great News’ spiritual predecessors both did Halloween better than most (though The Office’s holiday heart truly belonged to Christmas, and 30 Rock mostly celebrated in cutaways). So it’s only right that they carry that tradition into the NBC Thursday-night future. For the employees of Cloud 9, that means dealing with a corpse that won’t be placed on the clearance shelves on November 1. Over at MNN, the festivities turn on a more grounded fear: All of Katie’s friends (including special guest star Cecily Strong) have moved on with their lives while she’s toiled away at The Breakdown. All trick-or-treaters who knock on Vikram Murthi’s door tonight will receive a shiny new Great News recap. Impractical Jokers (TruTV, 9 p.m.): Each castmember of the prank show gets a special episode devoted to him in an event TruTV is billing “Judgment Night.” Unlike a different Judgment Night, however, this one probably won’t feature much of Cypress Hill rhyming over Sonic Youth riffs.